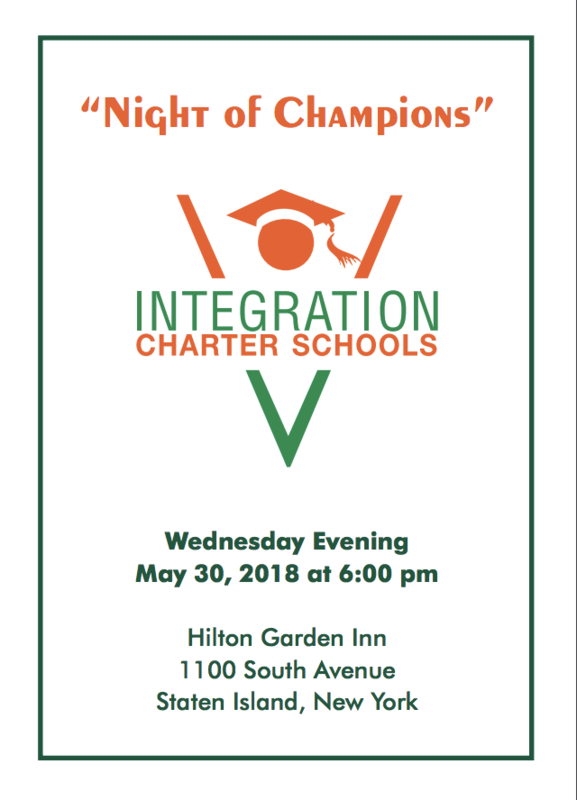 On May 30, 2018 Integration Charter School will host it’s 9th annual Night of Champions Gala at the Hilton Garden Inn. Administration, staff, families, friends and community members are invited to attend and join the ICS family for an evening of dining and dancing while celebrating the successes of our three schools and honoring our supporters. The evening will also feature performances by the Lavelle Prep High School music class, as well as the Lavelle Prep staff band, The Wolftones. To view the invitation, purchase tickets or for journal adds, you can support the event, please click here.